Pre-Construction. To be built. Pre-Construction. To be built. Pre- Construction. To be built. 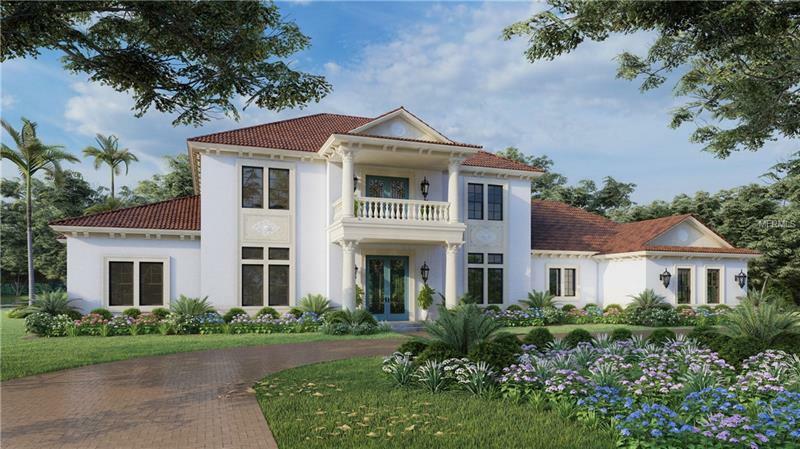 Incredible opportunity to purchase and customize a new construction home in Avila Tampaâs premier guard-gated Golf and Country Club Community. This Mediterranean estate sits on the 16th fairway of the Jack Nicklaus Signature golf course providing breathtaking views and surroundings. As you enter the 6228 Sq ft home you will be welcomed by an open grand living eating and dining area featuring 12 ft ceilings. Your chefâs kitchen boasts built-in Sub-zero/ Wolf appliances an oversized island walk-in pantry as well as a wine cellar. The expansive master retreat includes his and her walk-in closets a morning bar and a luxurious spa centered around a freestanding bathtub. You will also enjoy a dedicated office state of the art media room guest suite and powder room downstairs. As you head upstairs you will find 3 more bedrooms with ensuite bathrooms and a large loft ideally situated for gaming or additional entertaining. This upstairs bonus space opens up to a 34x15 ft balcony that allows you to look out to your pool and outdoor living and dining areas. Enjoy all of these luxurious features while having the privacy and security that comes with living in Avila.